The pump/basin package consists of the pump, a tank, and an optional alarm panel. If the pump malfunctions and the waste level in the basin rises above a certain level, the alarm panel should alert the user that the pump is experiencing problems that need to be resolved. 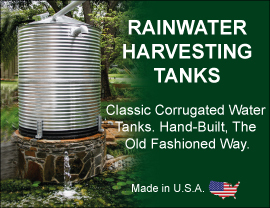 The basin or storage tank, likely constructed of fiberglass, high-density polyethylene, or FRP, has an inlet opening, a discharge opening, and an optional vent port. The pipes from the home are connected to an inlet though multiple inlets can be applied depending on the situation. The pipe that leads to the sewer main is connected to the discharge. Often, more than one home or restroom (in a park, for example) can be connected to one grinder pump station. Consult with the manufacturer or factory representative before purchasing a grinder pump station especiall if more than one inlet hole will be needed. The tank has a lid made from heavy-duty plastic or metal that is bolted and/or padlocked shut to prevent entry by unauthorized persons.